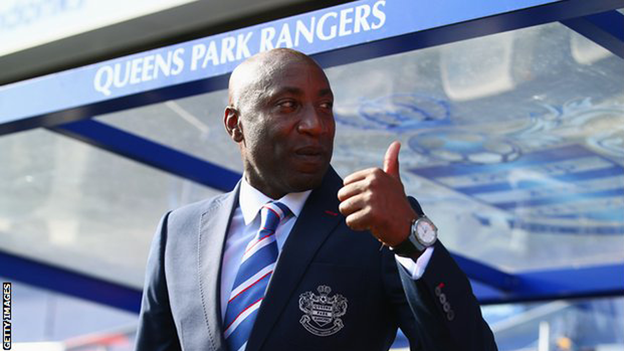 QPR have appointed Chris Ramsey as head coach on a three-year contract. Ramsey, 53, was given the job until the end of the season in February after Harry Redknapp resigned but failed to prevent Premier League relegation. "When Chris took over the role we were already in a very difficult position," said club chairman Tony Fernandes. "Despite our relegation, we - as a board - have been impressed with the professionalism and attention to detail he has demonstrated." QPR have won three of Ramsey's 14 games in charge and go into their final game of the season at Leicester bottom of the top flight on goal difference. Fernandes added: "He lives and breathes management and coaching and I am sure he will flourish in this role as we look to bounce back from this season's disappointments. The Loftus Road outfit's director of football Les Ferdinand believes the club need to focus on developing its youth players rather than spending heavily on new signings. "I enjoyed my time in temporary charge, despite the way the season panned out, and now I'm looking forward to the challenge of helping rebuild this club over the coming years," said Ramsey. An announcement about Ramsey's backroom staff will be made in "due course".